One of my favourite grapes, Schiava [or Vernatsch] produces uncomplicated, super easy drinking wines with fresh berries and a touch of earth and spice. 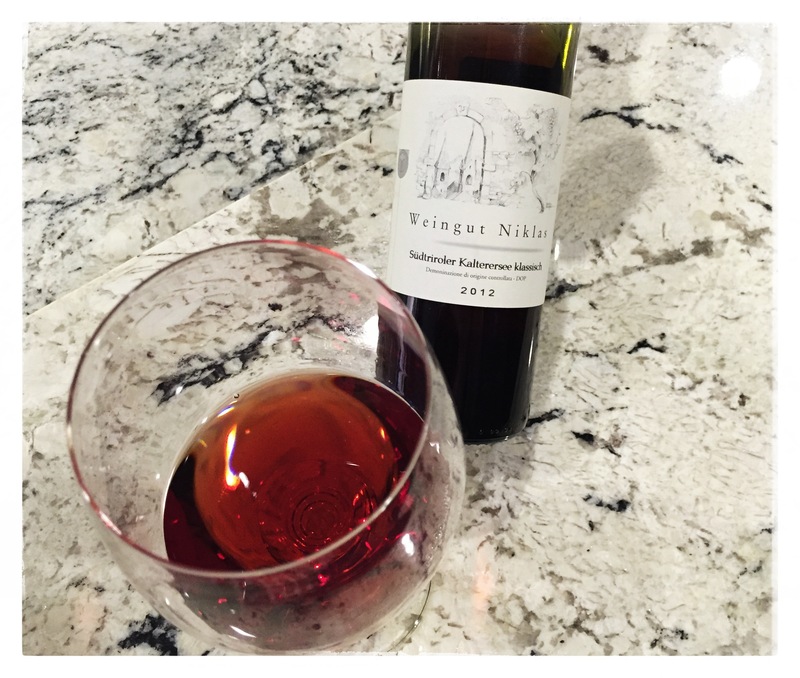 Estate: Weingut Niklas has been owned by the Josef and Dieter Sölva family since 1969. It is located at the foot of the Mendel Mountains in the village of St. Nicholas in Trentino, northern Italy. Winemaking: The family farms approximately 6 hectares of vineyards and are passionate about their winemaking traditions, having comprehensive experience with the soil, climate and natural conditions for growing grapes. They believe that “the unique style and love of the cellarer for his product really brings wine to life”. Tasting Notes: Brilliant brick orange in colour with aromas of dusty earth, dried flowers and white peppercorn and hints of cherry. Strawberry and cherry flavours wrapped around a lively acidity, whilst earthy minerals and traces of dried cherry comprised the clean finish.